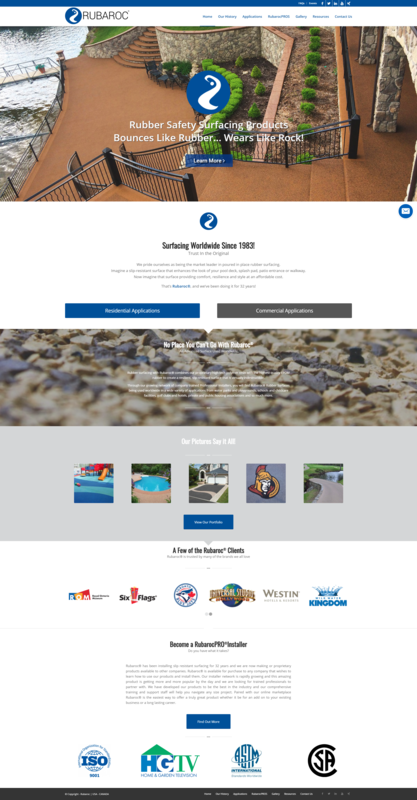 Rubaroc was established in 1983 when the very first pool deck was layed down with Rubaroc®, that surface still stands strong today, over 30 years later! We developed a full website to help bring them up to speed and help them reach new contractors and new commercial / residential opportunities. We also created a custom dashboard and portal to help contractors place orders, download marketing materials, and receive news relevant to the company & industry. This platform was developed within WordPress to help them manage their own site without having to contact a developer when changes were needed on their site – saving them time and money. For us, our joy lies in helping our clients explore their digital possibilities. Each new project is a new adventure. © Copyright - PI Media, LLC.